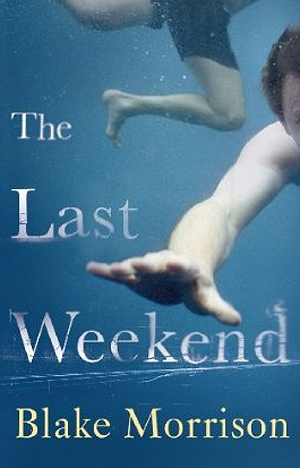 Henry Sutton wrote an interesting article for The Guardian about fiction’s most unreliable narrators but he neglected to include Ian from Blake Morrison’s entertaining novel The Last Weekend. Although it isn’t obvious in the beginning, Ian’s narrative soon starts to unravel as he and his wife, Em, spend a weekend with his college roommate, Ollie and Ollie’s partner, Daisy. Ian is a primary school teacher and Em a social worker and their marriage seems solid enough, although perhaps slightly lacklustre compared to Ollie and Daisy’s relationship. Of course, as seen through a series of reminiscences, we come to understand that Ian’s relationship with Ollie has always been fraught with jealousy and a certain prickliness. “I met Ollie in my second term at university,” Ian remembers. He admits that he was something of a loner, that he “didn’t really have a circle – my circle was me.” Ollie, on the other hand, was hard to miss with his “brooding intensity. ” He was, Ian admits, “smart, sporty, funny, handsome and popular – the antithesis of me.” And yet chance throws the two young men together and a strangely co-dependent relationship is forged. It’s a lopsided relationship, a fact that Ian is only too willing point out. The essential contrasts, all to our disadvantage, go: large Georgian house in west London vs small modern semi in Ilkeston; Range Rover and BMW vs Ford Fiesta; Mauritius (Florence, Antigua, etc.) vs Lanzarote (if we’re lucky); The Ivy vs Pizza Express; Royal Opera House vs local Odeon; Waitrose vs Morrisons; golden couple vs pair of ugly toads. I exaggerate but not much. So, off Ian and Em go, on a hot summer weekend at the end of August to visit with Ollie and Daisy. And it’s weird from the very start. First of all, Ian had been expecting “posh” accommodations instead of a dwelling which is a “serious disappointment.” Secondly, there is a strange undercurrent in the house. At first I suspected that Ollie wasn’t all Ian had described, but as it turns out much of what happens during that weekend is not quite as it seems. “As to the events of August,” Ian says near the beginning of the novel, “I don’t suppose I’ll ever get over them. I’m the kind of guy who feels guilty even when he’s innocent…” It’s only after I finished reading The Last Weekend that these words revealed their menacing underbelly. And much of the novel is strangely creepy and also deeply funny. Once it is revealed that Ian is not to be trusted, The Last Weekend becomes a wonderful maze of a book. This entry was posted in Uncategorized and tagged 2013, book club pick, Book Review, literary fiction, psychological suspense by Christie. Bookmark the permalink.